Where the road to the lighthouse at Shabla village ends, the easternmost point of Bulgaria starts: Cape Shabla. If one day you want to say that you have traveled Bulgaria from end to end, then you’d better come here – otherwise it doesn’t count. 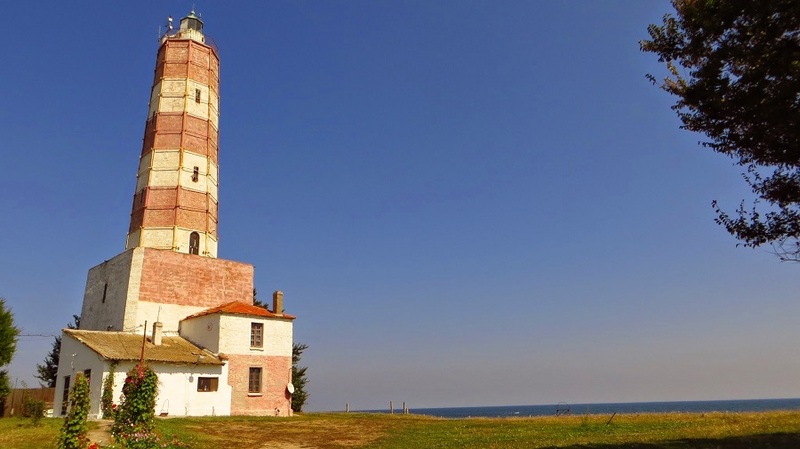 The oldest lighthouse in Bulgaria is here – it has operated officially since July 1856, when Bulgaria was still under Ottoman rule. 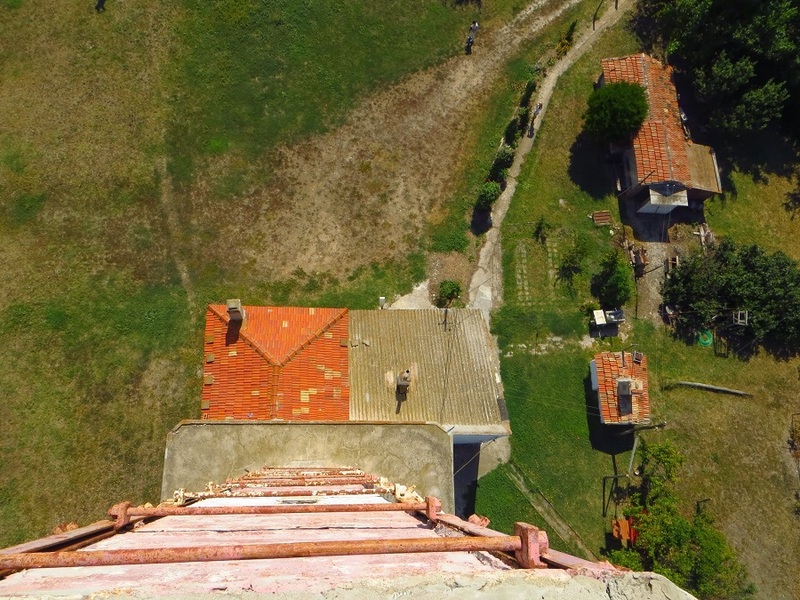 Standing at 32 m high, it is the tallest lighthouse along the Black Sea coast. 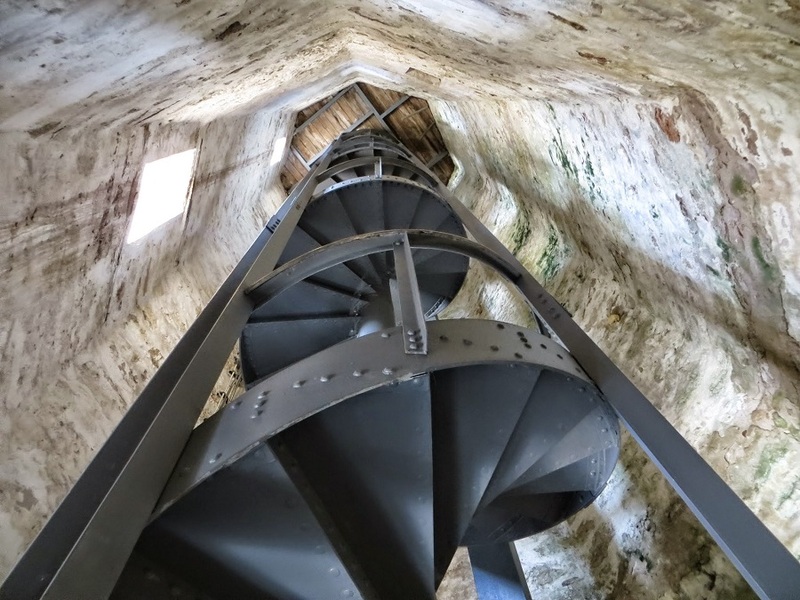 Although today the lighthouse is in a military zone and is usually locked, on special days in the summer you can go inside. 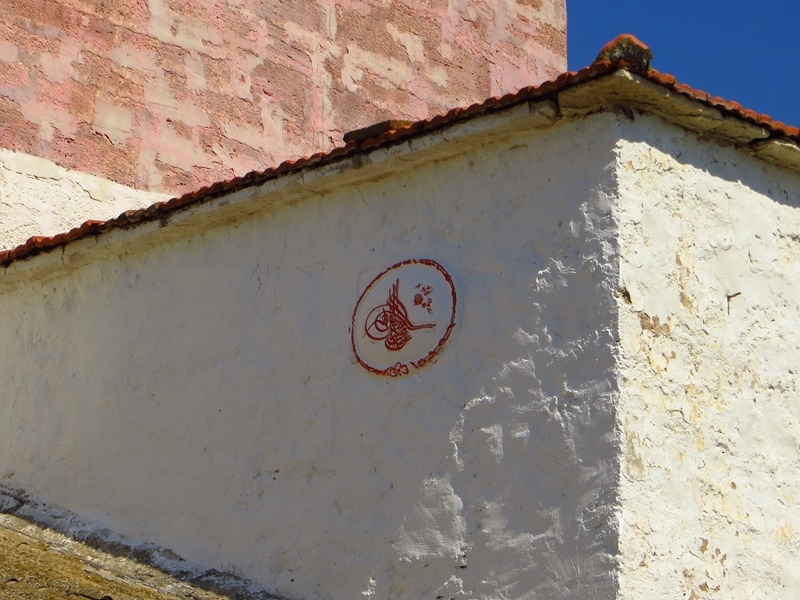 Interestingly enough, in the sentry-box there is a built-in monogram of the Ottoman sultan Abdulmecid – a rarity in those days, proving that the lighthouse was definitely an important building. This is the only multicolored lighthouse in Bulgaria – red and white. Until the 1930s it was entirely white. Later, the region of Southern Dobrudzha became part of Romania and the authorities decided to add the red color. Where the paved road ends, there is a summer house with benches right on the coast – you can sit down and contemplate, enjoy the magnificent view or simply hang out without a care, whistling your favorite tune. Right under the summerhouse there is a miniature shell beach full of natural treasures for those who seek, including shells, rapana and pebbles. This place truly is the easternmost Bulgarian fairy tale. If you feel like going to the beach, you will be happy to hear that 22% of Bulgarian Black Sea beaches are in the region of Shabla. North of cape Shabla the shores are sandy, to the south – rocky. There are also designated campsites as well as free camping zones. On every road you choose to take, you will meet interesting birds and animals in several protected areas – Durankulak Lake, which boasts an ancient town on one of its islands, Shablensko-Ezeretsko Lake, and the salt lake-lagoon of Shablenska Tuzla with its healing mud. 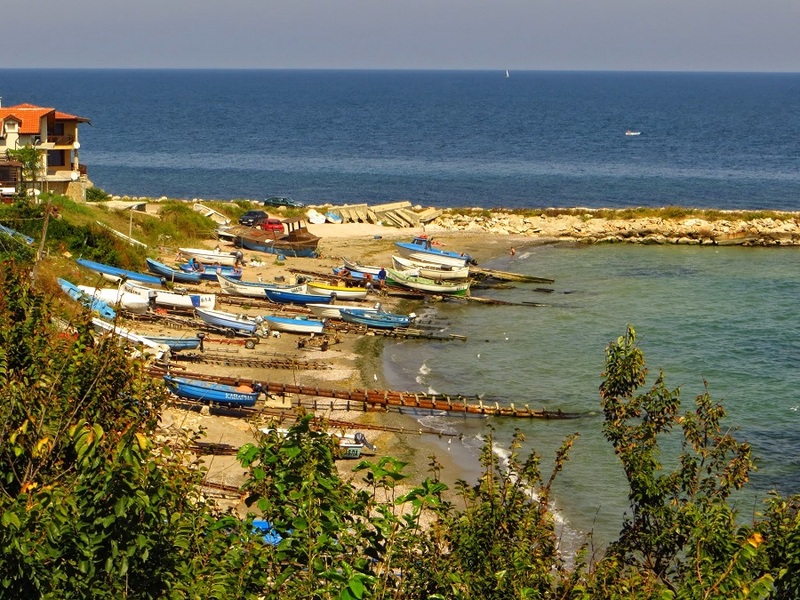 Shabla is 80 km from Varna, and the cape is another 5 km from town. After you enter Shabla, follow the main road until you reach the cape. 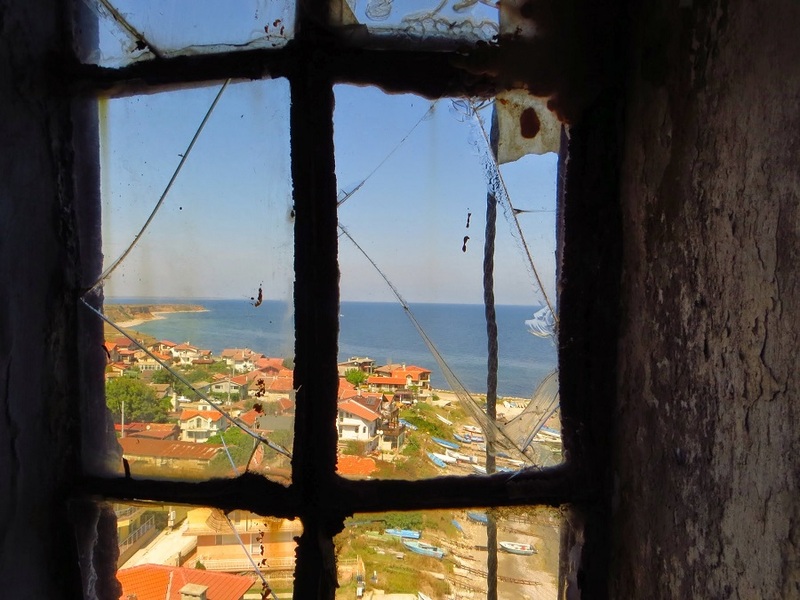 You can check when the lighthouse is open at obshtina@ob-shabla.org and mayor@ob-shabla.org.